Guaranteed Unbeatble! 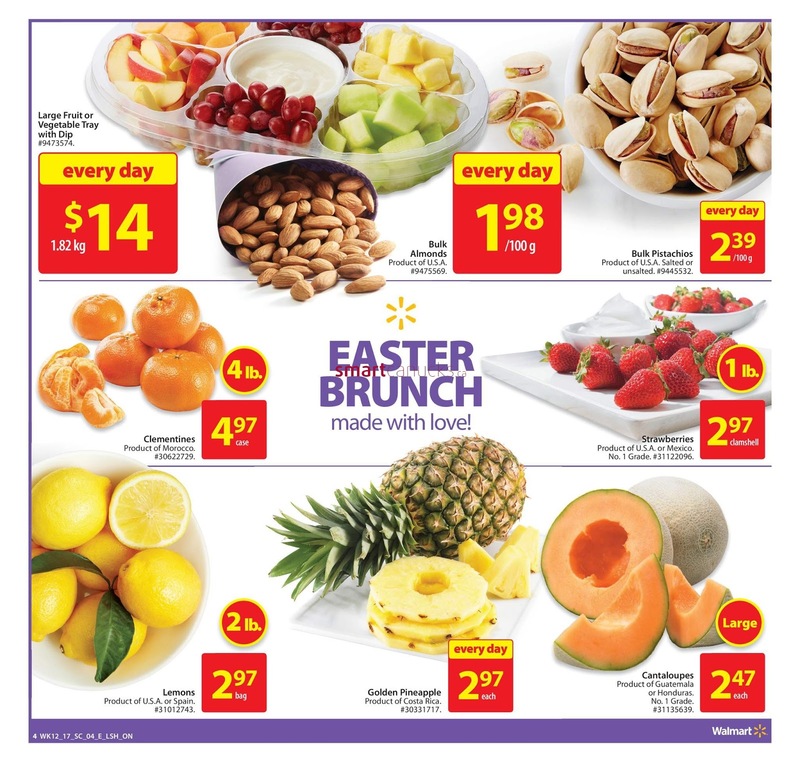 Shop for these prices of Walmart flyer until Easter Sunday. Happy Easter Sunday, April 16 Groocery including Beefsteak Tomatoes, 48 Pack Plastick Filler Eggs, English Cucumbers, Fresh Beef, Coca-Cola or Pepsi for detail price you can chek on cover page flyer. 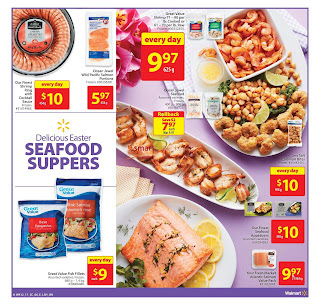 Celebrate Easter With fresh, flavourful meals for less! Brussels Sprouts Product of U.S.A no. 1 Grade price 2.97 each, Yellow Onions Product of Ontario Canada No. 1 price 1.47 3 lb. Green Peppers Product of U.S.A or Mexico price $1.97, Sweet Potatoes Procust of U.S.A every day price 88 c, Your Fresh Market White Whole Mushrooms product of Canada every day price 1.47 each, Corn Product of U.S.A no. 1 Grade price 67 c each, Broccoli Bunch product of U.S.A price 2.47 each, Celery procudt of U.S.A No. 1 Grade Every day price 1.47 each. Easter Brunch made with love! Clementines product of Morocco price 4.97 case / 4 lb. Cantaloupes product of Guatemala or Honduras no. 1 Grade price 2.47 each. Our Finest Shrimp Ring with cocktail sauce price every day $10 454g, Ocean Jewel Wild Pacific Salmon Portions price 5.97 454 g, Great Value Shrimp 71-90 per lb. Cooked or 61-70 per lb. 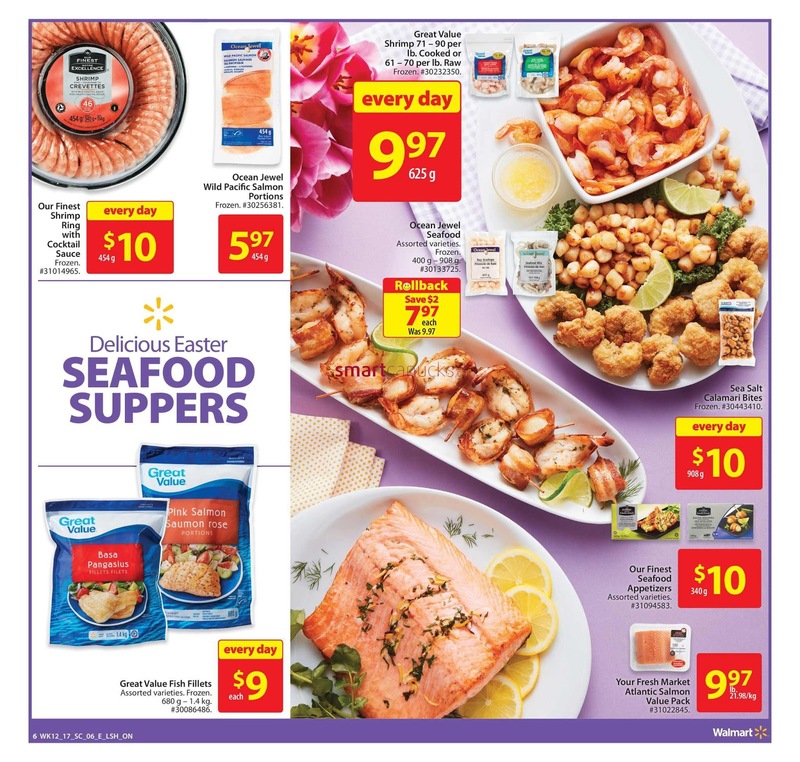 raw every day price 9.97 625g, Ocean jewel Seafood assorted varieties frozen 400g-908 g Rollback save $2 7.97 each, Great Vaue fish fillets every day price $9 each, Sea Salt Calamari Bites every day price $10, Our Finest Seafood Appetizers $10, Your Fresh Market Atlantic Salmon Value pack price 9.97.